Derek Holland dominated Baltimore in a three-hit complete-game shutout as the Texas Rangers defeated the Orioles, 6-0, on Sunday. Holland (2-1, 2.82 ERA) struck out 11 and didn’t walk a batter. Miguel Gonzalez (9-11, 4.85 ERA) gave up four runs on seven hits in five and a third innings, striking out three and walking two. 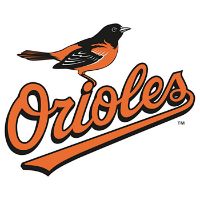 The loss was the 10th in 11 games for the fading O’s (63-67), who have fallen to 11 games out in the American League East race, and are also five and a half games back in the race for the second AL wild-card spot.